An OK free breakfast and decent beds, room service was pretty friendly. great room and breakfast. the checkin and checkout are so smooth and quick. Breakfast wont be meeting the expectation of international travelers and it is only chinese cooked oily foods..
Fitting to the qualities IHG Club Hotels commonly hold, spacious room, clean and neat spectacles, good facilities and etc., and, with a suprisingly low price with 'today's value deals'. A definitely good choice! Breakfast was not up to my expectations as i dont eat pork and meat. Shower had good water pressure and hot water. My room had damages in it and they moved me to a new room. The location of the hotel is okay, Shanghai is just big. The room was okay. 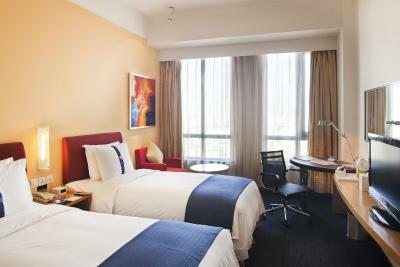 Holiday Inn Shanghai Wujiaochang features pleasant rooms with free internet access and flat-screen cable TVs. 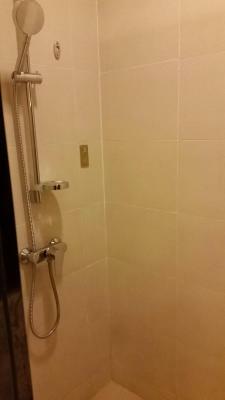 It is a 10-minute walk from metro line 10 Wujiaochang station. The hotel offers free parking. Holiday Inn Express Shanghai Wujiaochang is a 2-minute walk from RT-MART supermarket and a 10-minute walk from Wujiaochang shopping area. Fudan University is a 5-minute drive away, while Tongji University is a 10-minute drive away. Holiday Inn Express Shanghai Wujiaochang’s rooms come equipped with a tea/coffee maker and safety deposit box. A seating and dining area is provided. Its private bathrooms come equipped with toiletries and a hairdryer. Holiday Inn Express Wujiaochang offers a business center with fax and photocopying services. Currency exchange services are also provided. Breakfast is served at the hotel’s restaurant. Yangpu is a great choice for travelers interested in culture, city trips and nightlife. 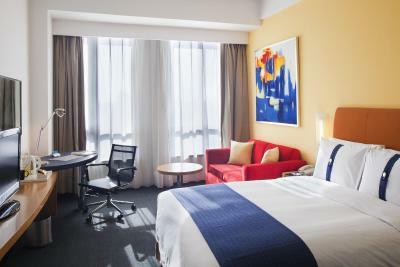 When would you like to stay at Holiday Inn Express Shanghai Wujiaochang? 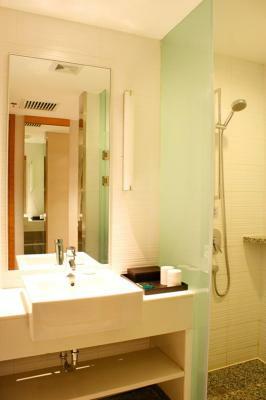 Room comes with 2 single beds, a flat-screen TV and an private bathroom with a shower or bathtub. Room comes with a large double bed, a sofa bed, a flat-screen TV and an private bathroom with a shower or bathtub. Guests are kindly requested to inform the hotel of their bedding type preference in advance, subject to availability upon check-in. Our location is the best. House Rules Holiday Inn Express Shanghai Wujiaochang takes special requests – add in the next step! 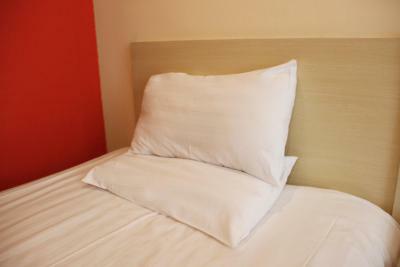 One older child or adult is charged CNY 105 per person per night in an extra bed. Holiday Inn Express Shanghai Wujiaochang accepts these cards and reserves the right to temporarily hold an amount prior to arrival. Chinese oily food for breakfast!!!! Why??? The breakfast was not really to my taste. There were two cereals to choose from but these were both soft and the UHT milk was not chilled. The other option was a hot breakfast, but which included noodles, fried rice etc. I'd say that a wider variety of Western options for breakfast would be a good idea, a couple of croissants, and some fruit too! The staff were extremely friendly, welcoming and hard working. I have been booked the Room for 4 nights 1365 RMB and the staff told me that they couldn't find the Reservetion even when i show them the confirmation, they told is Internet mistake and i must complain to Internet.I asked to see and talk with the Manager on Duty they refused.fanaly after 15-20minutes i accepted to pay 398 RMB per night. i wiil not go back in this Hotel. Generally, the hotel property was pretty good. Though its location is a bit disappointing, within the walking distance to Wujiaochang and underground station, yet difficult to locate and with a depressing surrounding. Staff at the registration desk wasn’t helpful at all, had problems communicating both in English and Chinese, took for ever to check us both in & out. MasterCard did not work, so you better have some cash on you. The staff at reception did not speak English, and were not helpful for booking taxis or giving recommendations for places to eat, directions etc. They preferred to serve locals before foreigners, despite the foreigners queueing. The breakfast was not good. Room wasn't clean, neither were the sheets for towels. The carpet was filthy and although a none smoking hotel the room smelled terribly of smoke went we first arrived and we had to open the windows for the two nights stay. Breakfast was plentlyful, however not very flavoursome. In advance I had a question and wrote an e-mail over booking.com. Till today, after our stay, I didn’t receive any answer. The most of the workers there don’t speak english, only chinese. Only two spoke to us. When we wanted to get our luggage back after check-out after we left it there for 3 hours today the woman was really rude and totally ignored us and not helped or answered my questions at all...after we waited a longer time.